Hello, Friends! It's November, and you know what that means, right? Time to get working on that Christmas Card list! 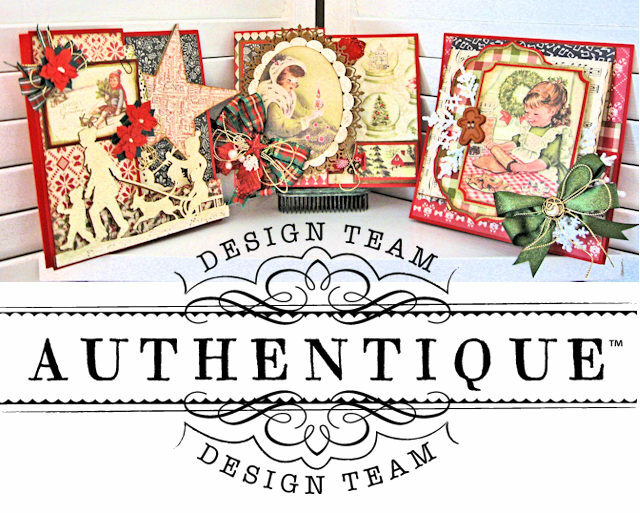 Sometimes a new card design will give us all the inspiration we need to get our Christmas craft on, so today I'm going to show you how to make 3 fun and fabulous Z Fold Christmas Cards using Authentique's Vintage Christmas Collection Kit and 6x6 Paper Bundle. One of the things I love the most about Fancy Fold cards is the "wow" factor they bring to cardmaking. They look like little masterpieces, but the bases are actually really easy to build and super fun to decorate. 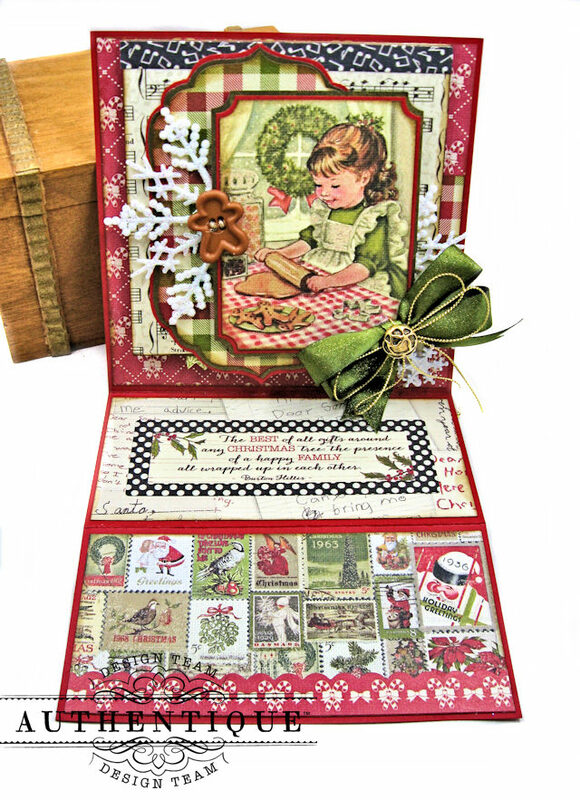 This basic Z Fold card base takes about 10 seconds to create, so it's perfect for the busy holiday season. It folds flat for mailing or storage, but opens out to reveal a loads of depth and dimension. 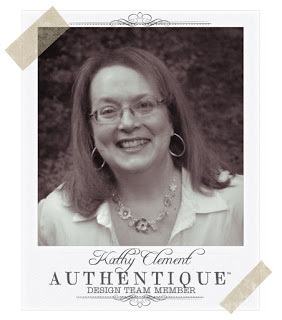 This means the card can stand for display on a side table or Christmas mantel. So your card can do double duty as home decor. And you've just gotta love that! 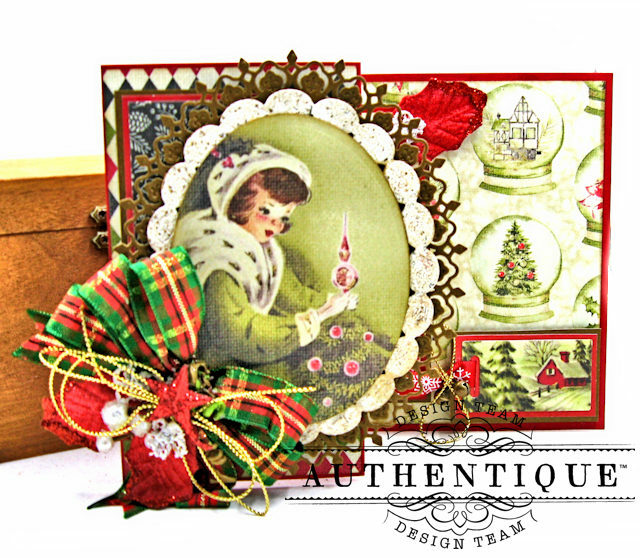 In the video tutorial below, you'll learn how to incorporate a gift card/treat pocket in each card design. So now your card is a gift, too. Sweet! Some of our family's best Christmas memories are tied to the tradition of baking cookies together. 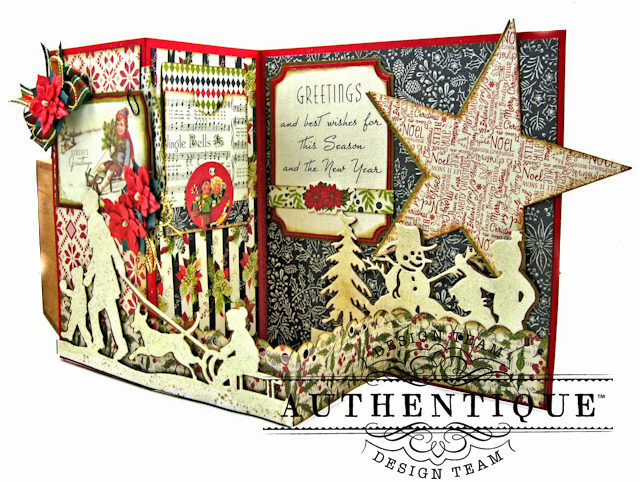 This darling easel style Z Fold Christmas card celebrates that fun family tradition. Not only does this adorable card stand for display, it also contains a fun mechanism that makes it exciting to open. 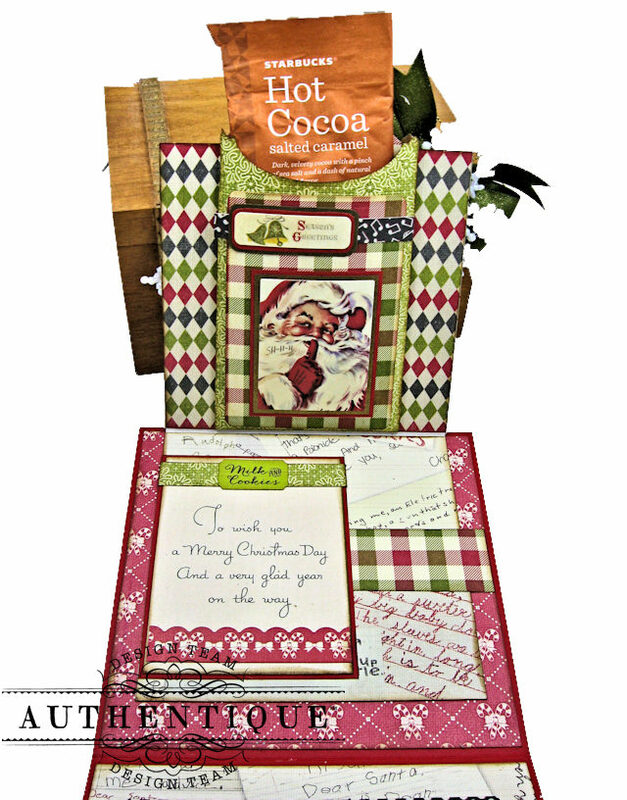 The inner panel contains a mini paper bag envelope with enough room to hold a sweet treat, some cash or a gift card. I'll show you how to combine your beautiful Authentique papers with some stylish dies and in no time flat, you'll have this fabulous Z Fold Pop Up card ready for gifting. And of course, there's a gift card pocket tucked into this design, too. Oh, what fun! So are you ready to get your craft on? 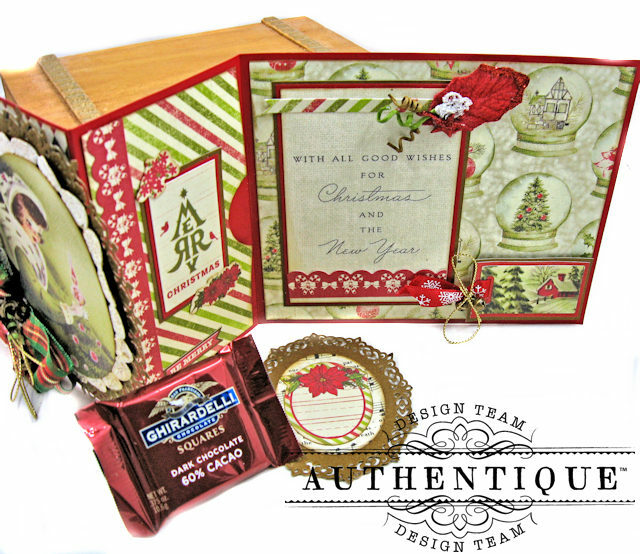 This YouTube Video will guide you step by step through building the base, adding the papers and decorating your cards. Grab a cuppa and a snack to sustain you, because we're making all 3 cards and I don't want you to faint on me. You might also want to grab a pencil and notebook to write down measurements and the like. I've linked up to the papers, dies and ribbons that I used in this post below. 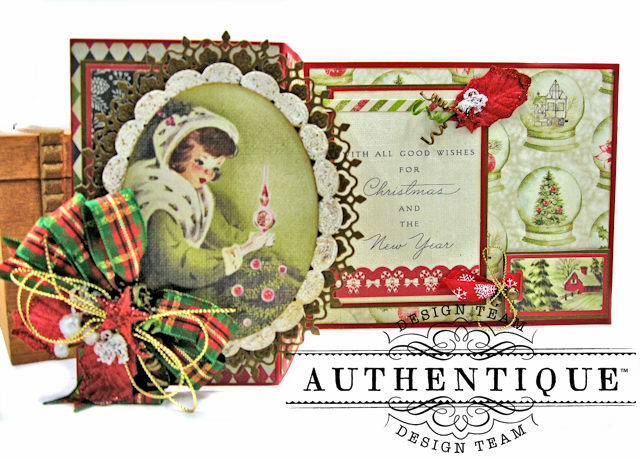 I hope you have as much fun making these Authentique Vintage Christmas Z Fold Cards as I did! Thank you Ann! I hope you have fun making them! Thank you so much Ava! I do love to teach, especially when I have such gorgeous paper to work with! Happy crafting! These cards are simply stunning! Such beautiful work!!! Beautiful paper makes beautiful cards. Thank you for making the video and I hope to find the time to watch very soon ... with a cup of hot chocolate.